This example shows how to use fuzzy logic for image processing. Specifically, this example shows how to detect edges in an image. An edge is a boundary between two uniform regions. You can detect an edge by comparing the intensity of neighboring pixels. However, because uniform regions are not crisply defined, small intensity differences between two neighboring pixels do not always represent an edge. 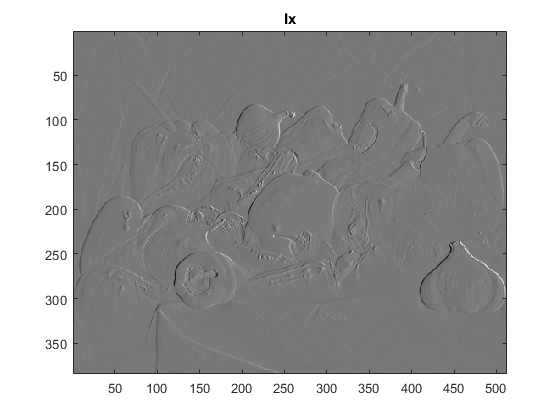 Instead, the intensity difference might represent a shading effect. 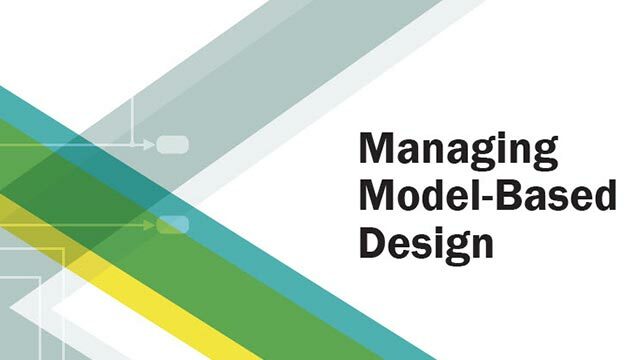 The fuzzy logic approach for image processing allows you to use membership functions to define the degree to which a pixel belongs to an edge or a uniform region. Irgb is a 384 x 512 x 3 uint8 array. The three channels of Irgb (third array dimension) represent the red, green, and blue intensities of the image. 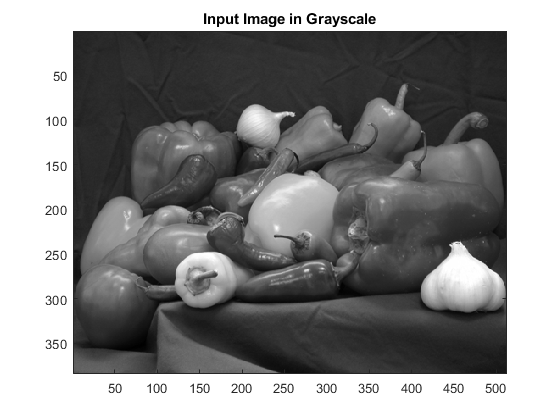 Convert Irgb to grayscale so that you can work with a 2-D array instead of a 3-D array. To do so, use the rgb2gray function. The evalfis function for evaluating fuzzy inference systems supports only single-precision and double-precision data. Therefore, convert Igray to a double array using the im2double function. The fuzzy logic edge-detection algorithm for this example relies on the image gradient to locate breaks in uniform regions. Calculate the image gradient along the x-axis and y-axis. Gx and Gy are simple gradient filters. To obtain a matrix containing the x-axis gradients of I, you convolve I with Gx using the conv2 function. The gradient values are in the [-1 1] range. Similarly, to obtain the y-axis gradients of I, convolve I with Gy. Alternatively, if you have the Image Processing Toolbox software, you can use the imfilter, imgradientxy, or imgradient functions to obtain the image gradients. 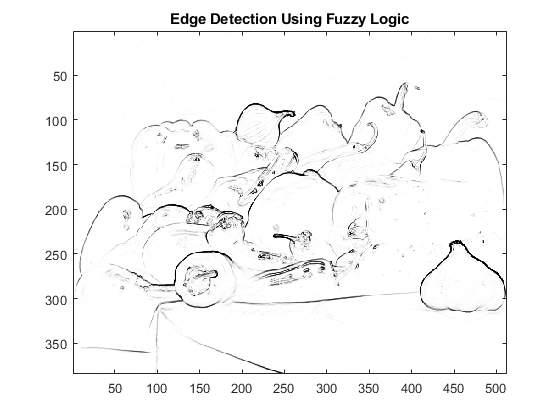 Create a fuzzy inference system (FIS) for edge detection, edgeFIS. Specify the image gradients, Ix and Iy, as the inputs of edgeFIS. 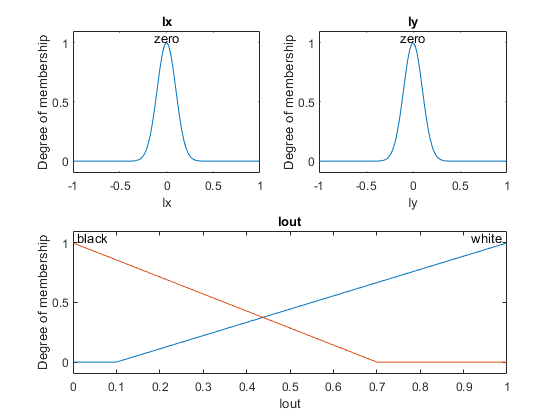 Specify a zero-mean Gaussian membership function for each input. If the gradient value for a pixel is 0, then it belongs to the zero membership function with a degree of 1.
sx and sy specify the standard deviation for the zero membership function for the Ix and Iy inputs. To adjust the edge detector performance, you can change the values of sx and sy. Increasing the values makes the algorithm less sensitive to the edges in the image and decreases the intensity of the detected edges. Specify the intensity of the edge-detected image as an output of edgeFIS. Specify the triangular membership functions, white and black, for Iout. As you can with sx and sy, you can change the values of wa, wb, wc, ba, bb, and bc to adjust the edge detector performance. The triplets specify the start, peak, and end of the triangles of the membership functions. These parameters influence the intensity of the detected edges. Plot the membership functions of the inputs and outputs of edgeFIS. Add rules to make a pixel white if it belongs to a uniform region and black otherwise. A pixel is in a uniform region when the image gradient is zero in both directions. If either direction has a nonzero gradient, then the pixel is on an edge. 1    "Ix==zero & Iy==zero => Iout=white (1)"
2    "Ix~=zero | Iy~=zero => Iout=black (1)"
Evaluate the output of the edge detector for each row of pixels in I using corresponding rows of Ix and Iy as inputs. Plot the original grayscale image.